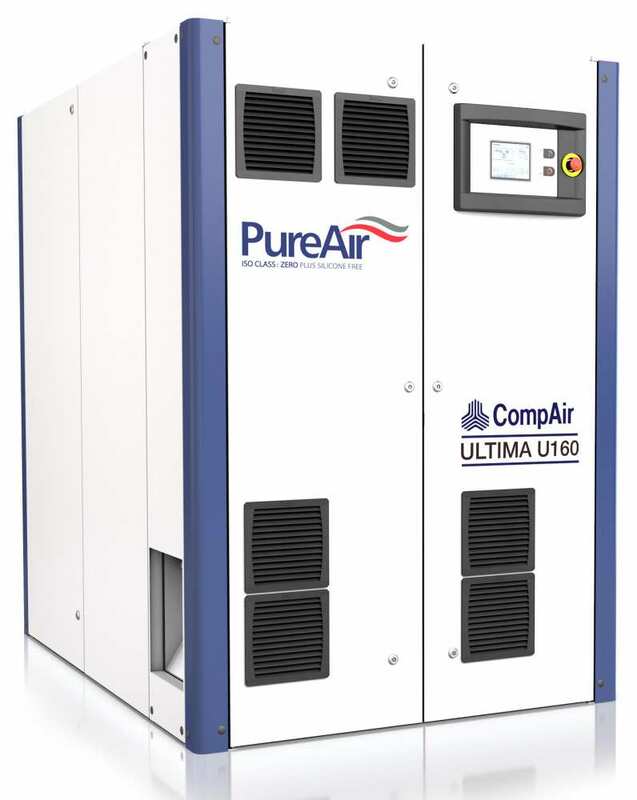 The U160 compressor belongs to the innovative Ultima range of compressors and is 100% oil and silicone free. CompAir‘s U160 compressor is extremely quiet with a noise level of only 69dB(A). This is a great benefit for customers who want to use compressors at point of use, eliminating the need for complicated and expensive pipework and even further maximising efficiency.